RED Cross recently hosted a networking event to further strategic connections for its Community Connectors Programme. Explaining the importance of developing a strategic network for the programme Senior Fundraiser, Red Cross, Charlotte King said: “While the Red Cross is obviously well known for our work overseas, including responding to situations like the recent, devastating Cyclone Idai, our volunteers are also very active locally. 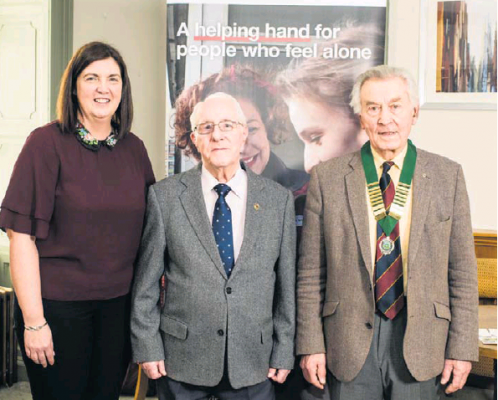 We are currently supporting lonely and isolated people as part of our growing Community Connectors programme, helping people to gain confidence, try new things and get out and about to socialise again. Charlotte added: “Like any programme of activity, for the Community Connectors Programme, it is important to have a strong network of contacts in the private and public sector to successfully deliver meaningful support. Networking events like this one help to expand our base and enable us to do more.